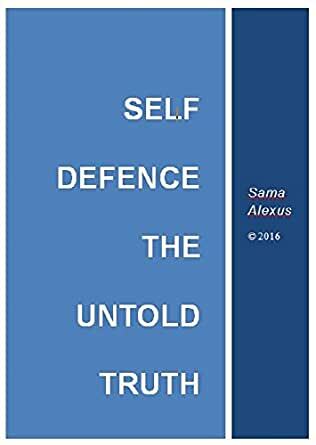 SELF DEFENCE—THE UNTOLD TRUTH aims to look at the topic of self-defence as a holistic event that occurs over a continual period of time. This unconventional yet insightful approach will give you a step by step walkthrough of the dynamics involved in a real confrontation from the moments before it starts until the moments after it finishes. More importantly you will be presented with detailed information and scientific research with regards to how we are actually affected mentally and physiologically, how these factors influence our overall response and performance, and ultimately how we can use these responses to our advantage. This is not the one and only solution that will solve all your situational problems or confrontations, but will aim to contribute to a deeper appreciation and understanding of reality based fighting and the dynamics associated with it. This hand-book will give you sound, highly effective and simple to learn add-on principles, together with a practical formula, with clear, broad-brush techniques that can be adapted into any fighting system. These strategies are integral in gaining the most benefit out of this hand-book.